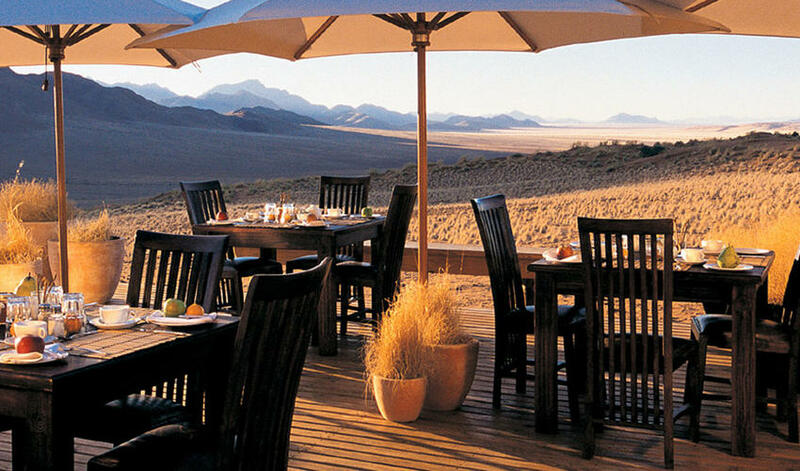 Wolwedans Dunes Lodge has stunning panoramic views of the surrounding Namib-Rand Nature Reserve. 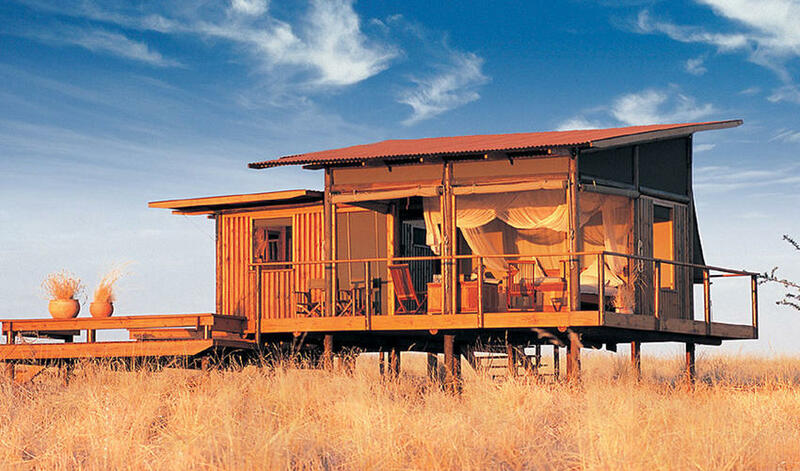 With all the charm of a tented camp bundled into a fixed structure, the 10 spacious chalets are very modestly decorated and nice. There are plenty of facilities, including a pool, library, wine cellar, and a great campfire to converse over in the evening. 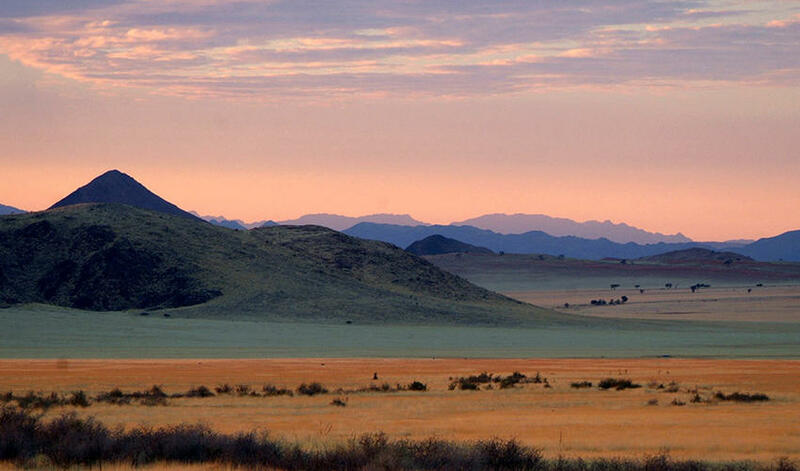 We love its peaceful atmosphere and the variety of activities available including scenic drives, walking safaris, Hot air ballooning, and picturesque flights. 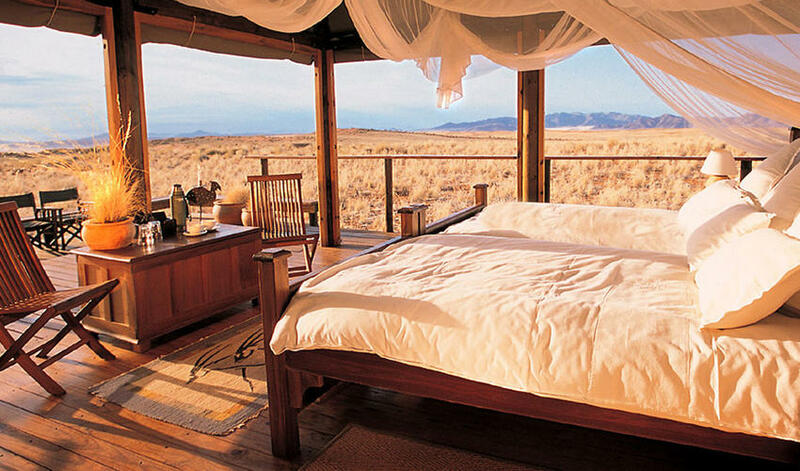 Only a 30-minute drive from Wolwedans Dune Camp, the lodge is much larger but we tend to prefer it. We find that the spaciousness is more inviting and promotes more conversation with other guests and staff members. 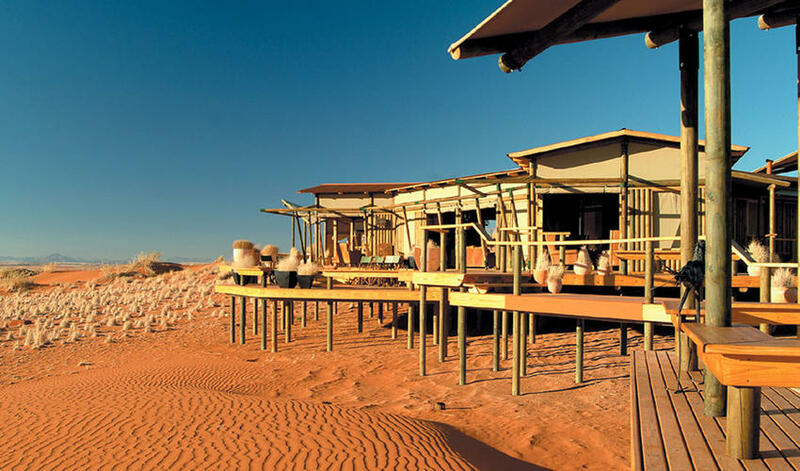 Similar to the Camp, we find the rooms to be a bit close together with the exception of the honeymoon suite which is completely private, gorgeous, and comes with a private chef. 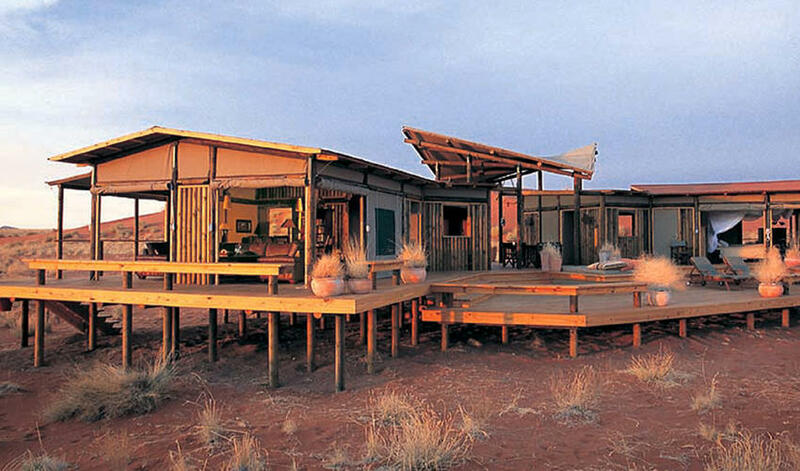 We love how eco-friendly the Wolwedans properties are. They pipe all of their water from the ground to each property, use solar power, and have large vegetable gardens. They are happy to show how they operate in such a way, which is really quite impressive.